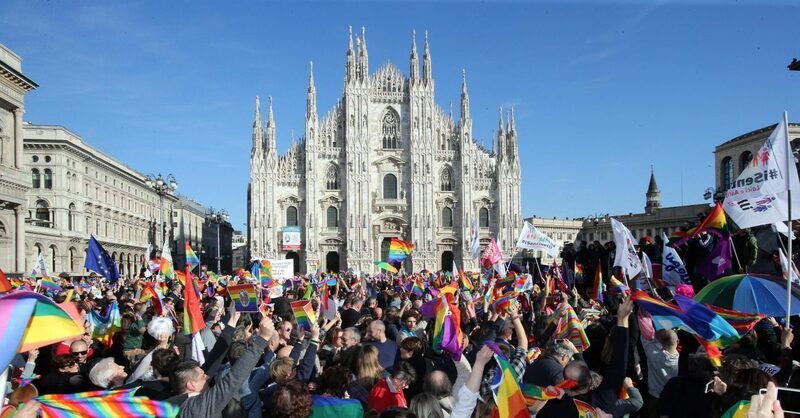 ROME (CNS) — The Italian government’s approval of a controversial bill that grants legal recognition to non-married heterosexual and homosexual couples is a defeat for democracy and family life, an Italian bishop said. “It is certainly a defeat and also an impoverishment of democratic life on a question that can have an enormous impact on the future of society,” Archbishop Forte said May 12 in an interview with the Italian newspaper Corriere Della Sera. The legislation, known in Italy as the “Cirinna” bill, was passed by the Italian Senate Feb. 25 after the bill’s sponsors removed a proposed clause that would allow for a non-biological parent in a homosexual union to adopt the biological children of his or her partner. The bill received final approval from the government May 11. Archbishop Forte, who served as special secretary of the Synod of Bishops on the family, said the choice to reduce the recognition of non-married heterosexual and homosexual couple to a simple yes or no vote without the “sacrosanct right to express oneself” through legislative debate only hurts society. “In the church, we have lived through a synod on the family (and) we have received from Pope Francis an exhortation of great depth. In the words of Vatican II — in “Gaudium et Spes” — the family is truly the great school of humanity where one becomes a person. It is the place of that educational relationship that needs the fundamental reciprocity between man and woman,” he said. “On the church’s part, there will always remain the proclaiming of the Gospel of the family as a fundamental institute of human, social and Christian life,” Archbishop Forte said.